Please introduce yourself and your company? Frau Tonis opened its doors in 2009 after a whiff of a stranger’s perfume had Stefanie running around town to department stores trying to figure out which scent it was. It was then, that she realised how powerful and exclusive a person’s scent could be and that our dear old city’s generic offering of fragrances in department stores was lacking. 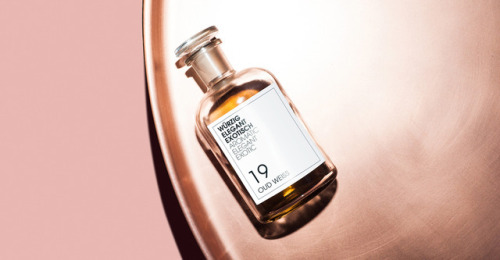 Bored by perfume brands highlighting the seductive powers of scent and hyper-sexualising their products, Frau Tonis’ philosophy is to let perfumes speak for themselves. 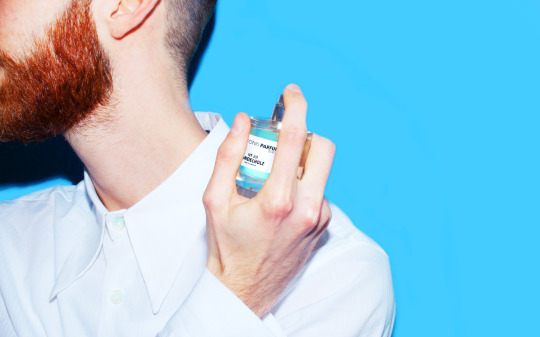 The idea was to bring together an exclusive range of scents that individuals could mix and tailor to his own liking – scents that excite and transmit memories. “Walking into Frau Tonis is like opening an old diary,” she explained. What sets your brand apart from others? Frau Tonis Parfum stands for charming minimalism; main protagonists are only our 30 exquisite artisanal perfumes. Our philosophy is “scents as inspiration”, we do not understand fragrances as a “mean of pairing”, as almost the entire industry does. Today scent aficionados from all over the world visit us to customise their own scent. We advise intensively and want our customers to go home with the ideal scent. An individual perfume must underline one ́s character, at best reflect it. What is your most important consideration when developing new products? We often think about topics in society and lifestyle that inspire us, which we want to translate olfactory. This means we need to call on a range of scents and odours to start a development process. Gradually, a first idea awakens to a fragrance. One must have a special passion, scents need to evoke images within me. For example, I grew up in a mining village (Ruhrgebiet) in the early 1970s, the air here was not very good. But behind my parents’ house was a big, wild meadow lined with poplars. The meadow was usually knee-high, there were butter-flowers, corn-flowers and especially clover. The scent of clover has shaped my childhood! Wherever I smell fresh, sweet clover I travel back to the place of my childhood for a moment. And that is what makes scents so wonderful: they take us on a journey through the sensuous undergrowth of your own past. What has been the best compliment/comment someone has given your product? Our CI says “less is more”! Our packaging design is simple, elegant and puristic. Our scent is the star, the packaging only protects and fades into the background. Our interest is to combine everything stylish and typical of Berlin. In the hard-fought market of niche-scents this works very well for us. We are selling our products all over the world, that’s the best compliment. When the New York based perfume expert Chandler Burr noticed our brand, we were very flattered! I will go on a Mediterranean cruise in fall, I am really looking forward to it! This “Berlin summer” gnaws at me. Can you tell us about any exciting plans for the rest of 2017? In uncertain times like these - FRAU TONIS PARFUM has created a perfume that aims to stimulate rebellion, independence and courage. No. 33 VILD is not a mainstream perfume. No delicate flower scent, no gentle seducer. We have created a truly extraordinary fragrance, which totally polarises, but still is delicious and glamorous. Saffron and suede are included, both exceptionally highly concentrated. Thyme, raspberries and roasted aromas complement each other perfectly, amber and midnight jasmine round off this scent. No.33 VILD will be available from October 5th.